Click on the Upcoming Events and the Calendar for a schedule of activities as they become available. Please encourage your AHS friends to sign up with us so we can get them on our mailing list. 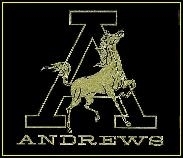 This list is very important to the Andrews Exes to maintain current mailing data to all AHS Alumni. We will NEVER share your info with anyone ! Make sure you drop by and sign in... IT'S FREE !!! Class Reunions on this website??? or call 432-523-2284 for more info!